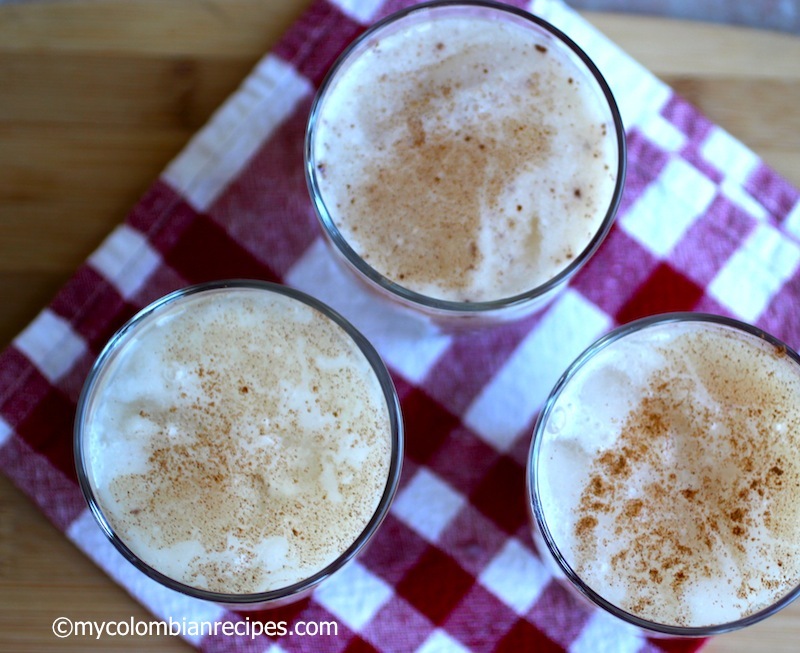 Masato de Arroz is a rice-based creamy Colombian drink popular in the Tolima and Cundinamarca departments of Colombia. I received an email about a month ago from a Colombian reader who loves Masato de Arroz, but didn’t know how to make it. So, I decided to get a recipe from a friend from Bogotá and make it for my site. There are almost as many variations of Masato in Latin America as there are people who make it. It can be made with rice, yuca, corn or pineapple. 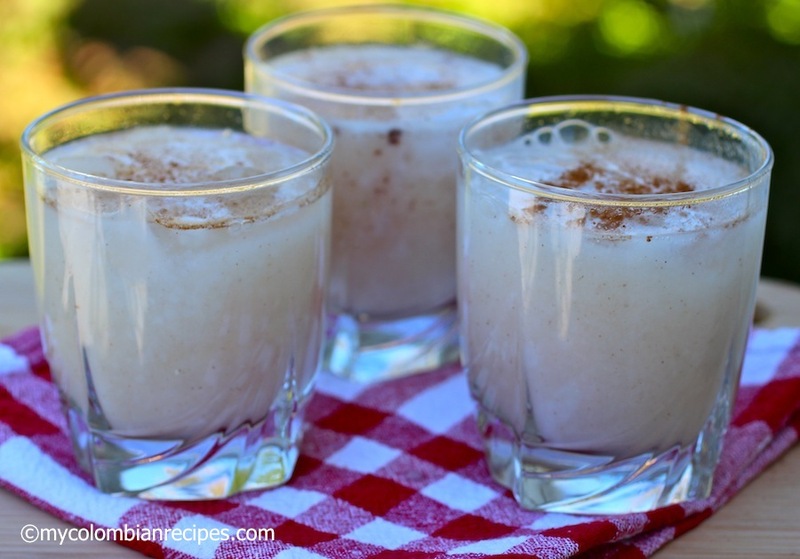 The traditional and most popular Colombian Masato de Arroz is a fermented drink made with rice, sugar, cloves, water and cinnamon, while other variations add all purpose flour to the mixture. This drink is a perfect accompaniment to cookies, mantecada (Colombian corn bread) and almojabanas (Colombian cheese bread). I don’t like my masato fermented, but If you prefer a fermented drink you can leave it in a non-reactive container for a few days. This drink can be kept for several days in the refrigerator, but you might notice some separation after a day, so just stir and it will be perfect again. Place rice and the cinnamon stick in a pot and cover with two cups of water. Cook for about 25 minutes or until tender. Discard the cinnamon stick. Pour cooked rice into a blender with two cups of water and blend until smooth. Strain the mixture. In a small pot, heat up the sugar and one cup of water on medium heat until the sugar has dissolved. Bring back the mixture to the pot over low heat and cook for 20 minutes. Add the sugar mixture and the cloves. Add one more cup of water and serve over ice or chilled. 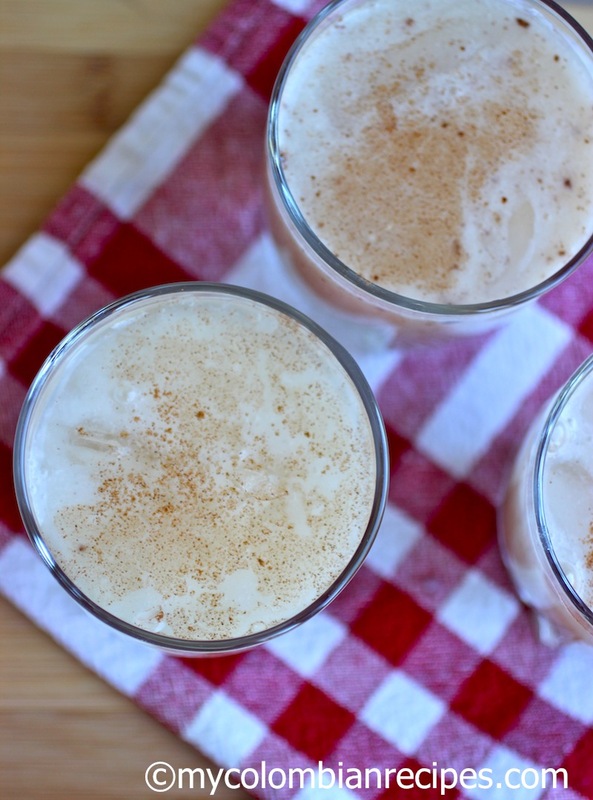 With all that lovely cinnamon, this sounds perfect for fall! A wonderful rice drink, Erica. was called. Then there you are with the name and recipe. Thank you! i’m with joanne–the cinnamon in this makes it infinitely alluring! 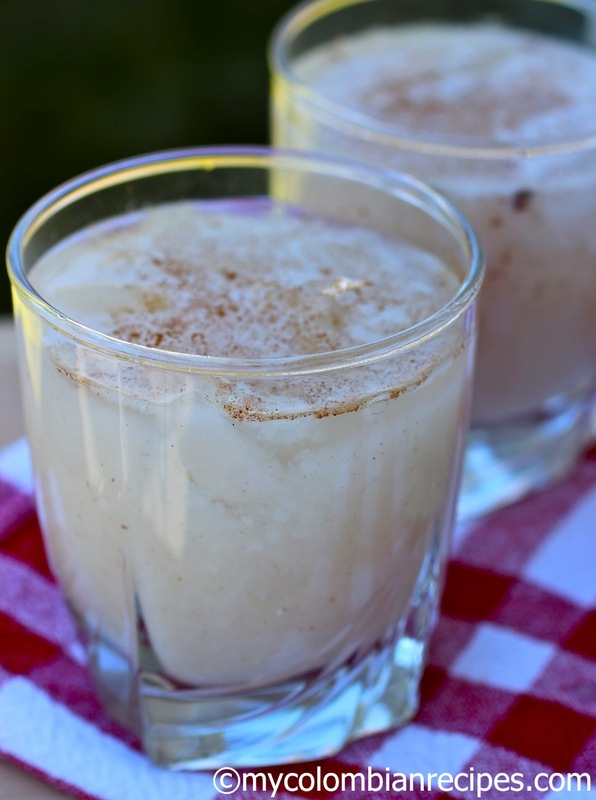 Sounds delicious this rice drink especially with cinnamon…yum! I was wondering how I could integrate liquor w/ this masato recipe. Also, what type of liquor do you think is best? Masato MUST BE fermented, otherwise is not masato. No fermentation? Real masato should be fermented on a ceramic pot for 3 days. You can add pinnaple skin to help with the fermentation process.